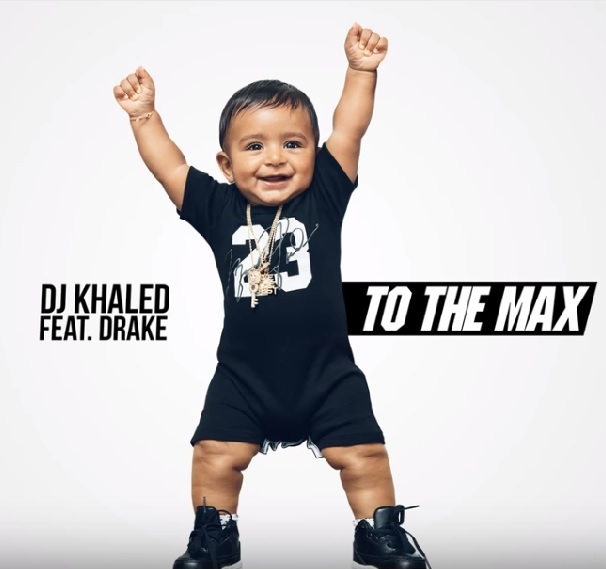 This is a compositional mess that seems to have Drake here just so the song reads, “Feat. Drake”. Khaled all but declares this to be a guaranteed hit and, yeah, it may well be. That doesn’t make it good, though. Both this and previous single “Thorns” from Heartless are under seven minutes, suggesting the doom metal quartet might have taken a (relatively) radio-friendly turn. They still retain what makes them great, though: Spiraling leads over “Tokyo-destroying downstrokes and cannon-fire percussion” and vocals that express sorrow better than films. Look for these guys to go 3-for-3 when Heartless drops. This is more like it. “Andromeda” is closer to classic Mastodon (read: more metal) than the previous two offerings from Emperor of Sand, including a riff that drunkenly lurches around the rhythm section. The song also features some prog elements from their first couple of records in the bridge, suggesting this record is a return to their early days, as well as being their most varied to date. Time is apparently a main theme of Sand, and it’s fitting because these guys sound ageless. The guys in Fastball – Tony Scalzo in particular – have always been underrated songwriters, so it should come as no surprise that “Let You Down” has a smart, if repetitive, arrangement. Its aww shucks lyrics (“It may sound funny, I don’t have lots of money/ But I will never let you down”) and hummable melody are pretty standard fare for Fastball, but the song is certainly better than expected from a band that peaked 20 years ago. Call this a win. FF’s first release in six years is nine minutes, most of which exist in a near-perpetual climactic swell. Its California sun-kissed – production, vocals and all – is like everything else they’ve done. As to whether “Third” needs to be this length, that depends on how much you like the self-indulgent side of FF. These guys, much like Cannibal Corpse, haven’t changed their approach at all in 30 years. The groovy swaying riffs and Chuck Schuldiner-borrowed snarled vocals are intact after all this time, and that throwback ’90s metal reverb production just adds to the evil atmosphere. Why fix what ain’t broke? The first thing you notice about this Young Money group cut is that the order of artists goes best to worst. Battle Nicki responds to Rema Ma and kills it (“Sheneneh, you a fraud committin’ perjury/ I got before-and-after pictures of your surgery/ Rah took you to her doc, but you don’t look like Rah/ Left the operating table, still look like ‘nah'”) over swirling ice-cold synths. Meanwhile, Drake does his Drake thing of borrowing whatever is currently popular in rap, and Wayne brings up the rear with a phoned-in effort (“Blunt be tight as biker shorts, twisted like some handlebars”). Despite only one of three rappers actually trying, that effort alone saves this song. After the anthemic “Green Light,” Lorde follows up with a sparse piano ballad featuring some blunt self-criticism (“The truth is I am a toy that people enjoy/ ‘Til all of the tricks don’t work anymore”) and a tumbling vocal melody that adds to the doubtful nature of the track. Lorde may have let mainstream ideas slip into her work, but that isn’t preventing her from making great music. It’s 311. You know what this sounds like before you hear it: music played on the beach while sipping on a Corona and making sure your tribal arm band is in full view of the hottie next to you. So-called return to form is more like a Weezer impression than an album by the actual band. Rivers’ ability to write earworms that stick after only one listen is still present, but one wonders why he didn’t do this for every song. Hire Ric Ocasek or don’t bother. Read my review of it, also. A mixture of their most beautiful and most brutal music to date, Gore is Deftones solidifying their name as a consistenly great metal act. A truly interesting metal record is tough to come by these days, so appreciate them when they do arrive. My Hundred Word Review is here. Country music’s best kept secret follows up a fantastic bluegrass record in the only way he can: he throws out the banjos and adds ’60s Mowtown brass and ’70s hard rock guitar. Simpson writes memorable melodies, but they’re not like the ear candy heard on country radio; these songs take a few listens to fully appreciate. No self-respecting producer woulda let Simpson stray this far from a winning formula like Metamodern Sounds, and for good reason. That Simpson self-produced this brilliant album just makes you appreciate him as an artist even more. Hip-hop’s wordiest MC releases his leanest and best record to date, a month before he turns 40. Rap is NOT a young man’s game anymore. (Was it ever?) All beats by Rock himself and not a single guest verse would be a gamble for a lesser artist. Being that Rock is among the most fascinating voices in music, that decision was a a logical one. Hopefully we don’t have to wait four years for a follow-up. Hundred Word Review of this record is also available. Lotta words have been written about this record, so I’ll simply say this: It’s not a bad album, but it is boring. His last two were better, so listen to those instead.